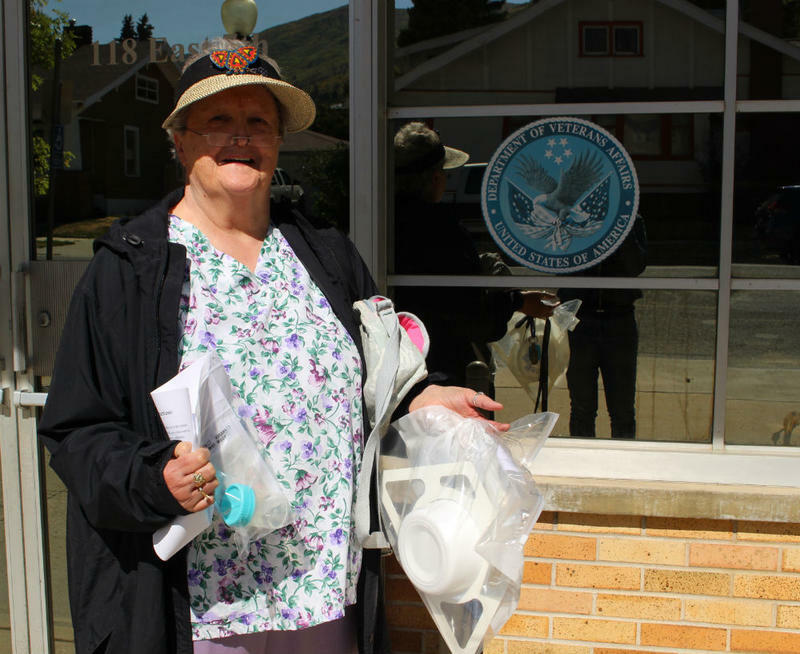 Cathy Price retired to Anaconda ten years ago, and decided to get tested for lead and arsenic. September 14, 2018. 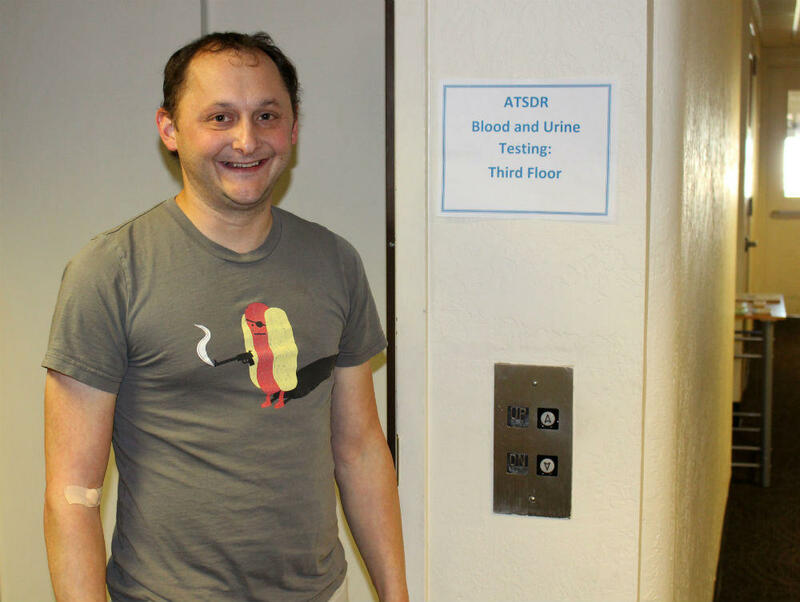 I wasn’t allowed into the pop-up clinic at the community service center, so on the afternoon of Friday, Sept. 14 I hung out in the lobby instead and talked to folks clutching consent forms and vials of their own urine about why they volunteered to get tested. “Where do you go to get speared?” asked Virgil Gochanour. It takes me a second to realize that he means having his blood drawn. He tells me he used to work at Anaconda’s now-defunct copper smelter. "Best college in the state," Gochanour says. I asked him what he did there. 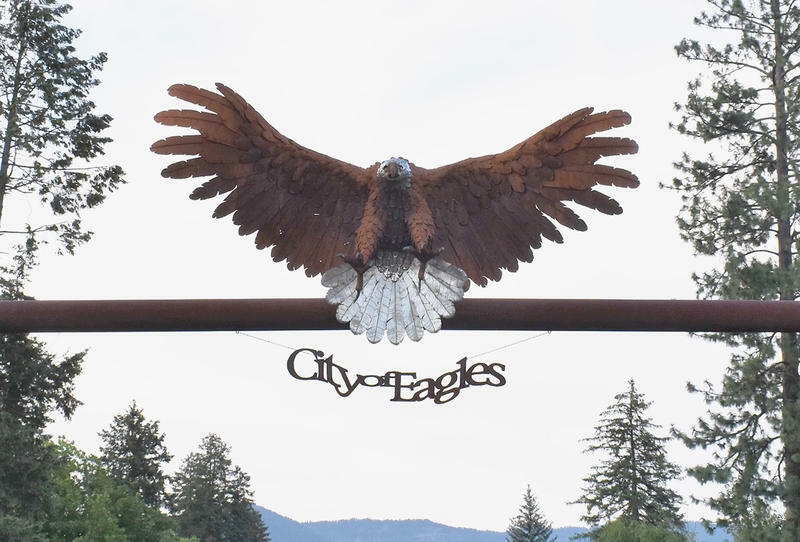 For close to a century, that smelter belched toxic smoke out over the valley, contaminating the air, soil and water -- and lots of buildings and yards in town -- with heavy metals. But while Anaconda’s Superfund cleanup has been underway since 1983, some longtime residents like Gochanour are concerned their health might still be at risk. His ranch is currently undergoing cleanup. He says he’s also found a bald eagle, three hawks and two owls that were either dead or dying. Those animal mortalities concern him, and make him wonder about his own protection. “I mean I’m breathing the same stuff. I’ve plowed that up two or three times. And I’ve breathed in all that dust and everything a long time ago before anyone said, ‘you probably shouldn’t be doing that.'" Then Lee Klemann filed past, wearing neon yellow. He works for the county road department, and says he’s curious about his own lead and arsenic levels, because he comes into direct contact with dirty dirt at his job. I also spoke with Adam Vauthier, who runs a small web development business. He’s 31, so the entire time he’s lived in Anaconda, it’s been a Superfund site. And for him, this kind of health knowledge is power. “I guess my hope is for everyone who’s doing this today, including myself, if there is a reason that I have exposure, I’d rather know now. And I can get my yard cleaned up, or my house cleaned up or whatever and remove that exposure before it has long-lasting impacts on my life,” Vauthier says. Adam Vauthier has lived in Anaconda almost his entire life, and wants to know more about current exposures to lead and arsenic. September 14, 2018. When Vauthier returns from his appointment, he reports that it was pretty painless. He handed over his frozen cup of urine to the investigators, they drew some blood, he answered a questionnaire. But it turns out that Vauthier is kind of a pro at this. He was tested when he was a kid, in the '90s, at Head Start. The difference is, back then - he got prizes. AV: So you took the stuff home, and if you and your parents brought it back, you got toys and stuff for participating. NS: For bringing back urine or stool samples? So they could test you for arsenic? AV: Yeah, at the time they were just totally testing for arsenic. So this isn’t the first time there’s been free heavy metals testing in Anaconda - but it’s the first time that it’s been done by the federal Agency for Toxic Substances and Disease Registry (ATSDR), and there’s no age limit. Kitty Basirico, the director of the county health department, says she thinks that’s why the response from the community has been so strong. The 200 allotted spots filled quickly, and there’s now a waiting list. 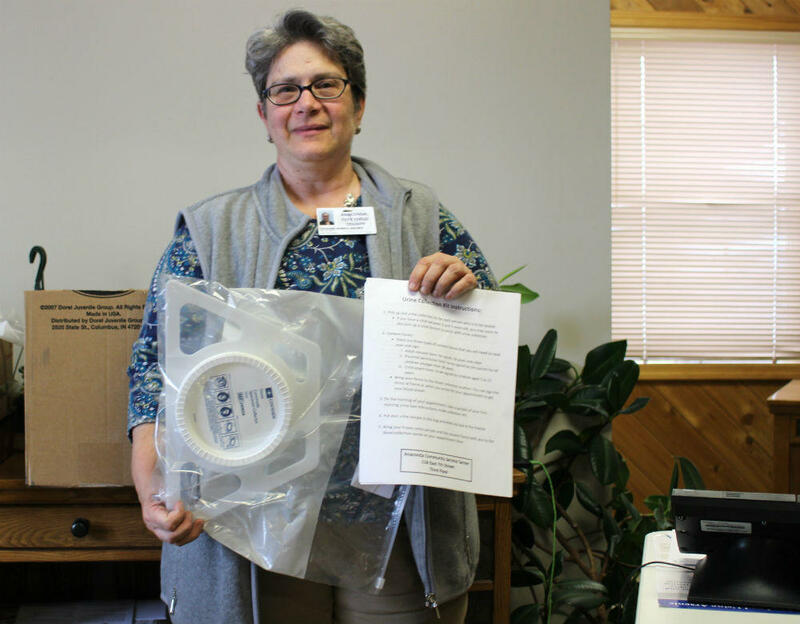 Kitty Basirico, the director of the Anaconda-Deer Lodge County health department, holds up a sample take-home kit for the free lead and arsenic testing. September 14, 2018. 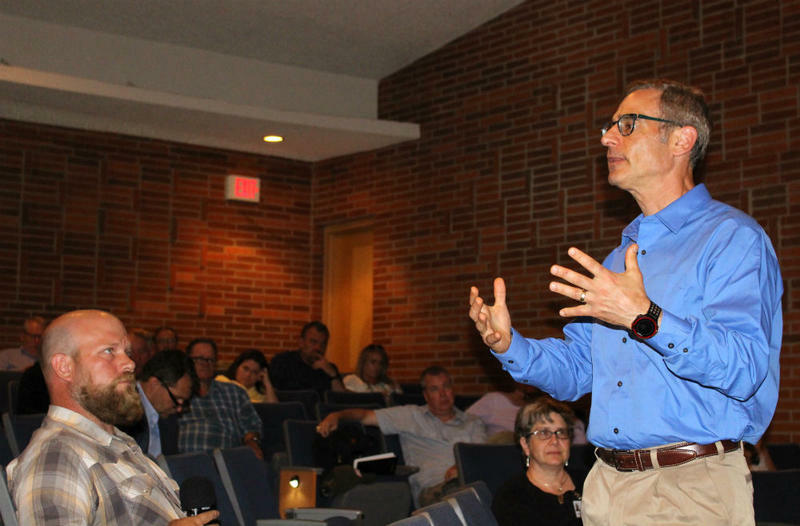 Anaconda-Deer Lodge County advocated for the testing, and is working with the state health department and ATSDR to get it done this fall. 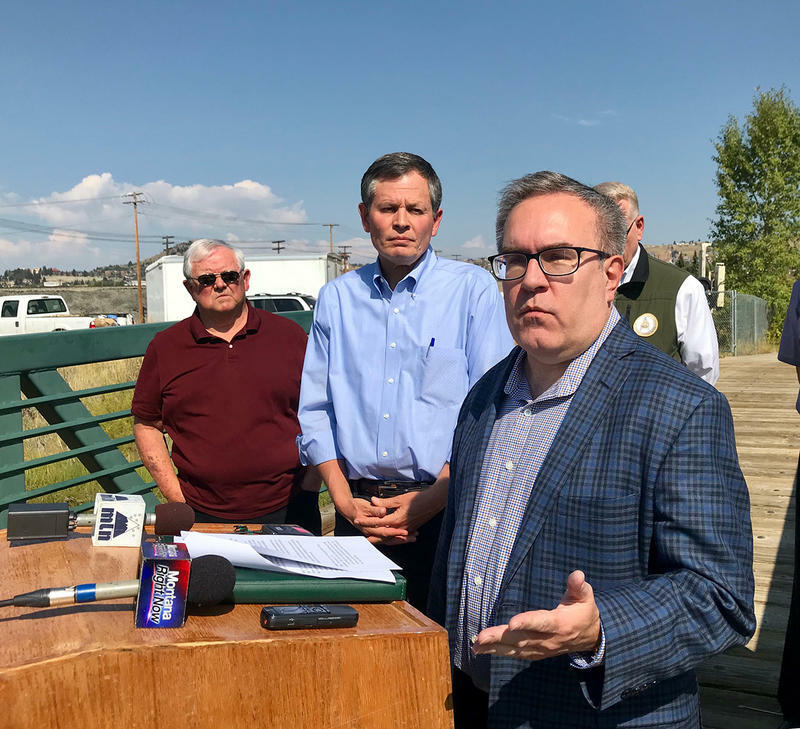 The timing is important, because the parties responsible for Anaconda’s Superfund cleanup are in the midst of negotiating a final cleanup deal for the site. And while ATSDR is an advisory agency, not a regulatory one, the data from this health study could influence the negotiations. 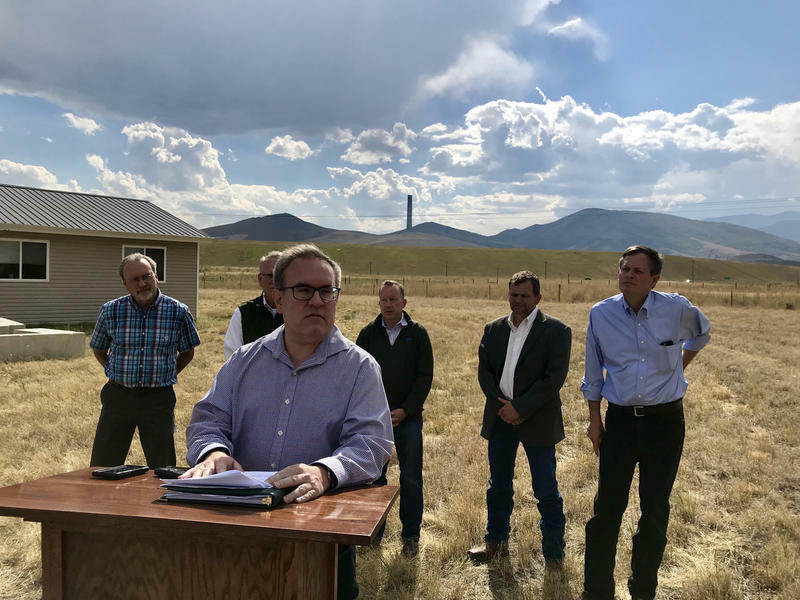 “There’s been a lot of discussion of what is actually going on, what things are connected to, any possible remediation or not, or contamination or not. This will give a good cross-section and a good view of how things are, right now,” Basirico says. That is one of the limitations of this study. It can only provide a “snapshot in time” and examine current, not past, exposures to lead and arsenic. But that’s ok with Cathy Price, who was leaving the testing location with her sample kit. She retired to Anaconda 10 years ago and bought a 114-year-old house. Her yard has been cleaned up, but she’s still worried about her attic. So she’s looking forward to getting her test results back in 10 to 12 weeks. “I don’t know if it’s age or its the arsenic and lead when you do crazy little things like leave your car keys in the freezer,” Price says. That’s not something she’s actually done yet, but she says it can’t hurt to get tested. “See, I’m not a doctor. I'm not a nurse, I don’t know all this stuff. But I think, I just want to be sure. Yeah, I just want to be sure,” Price says. When ATSDR is finished analyzing the results from this “exposure investigation,” they’ll hold a public meeting to discuss them. 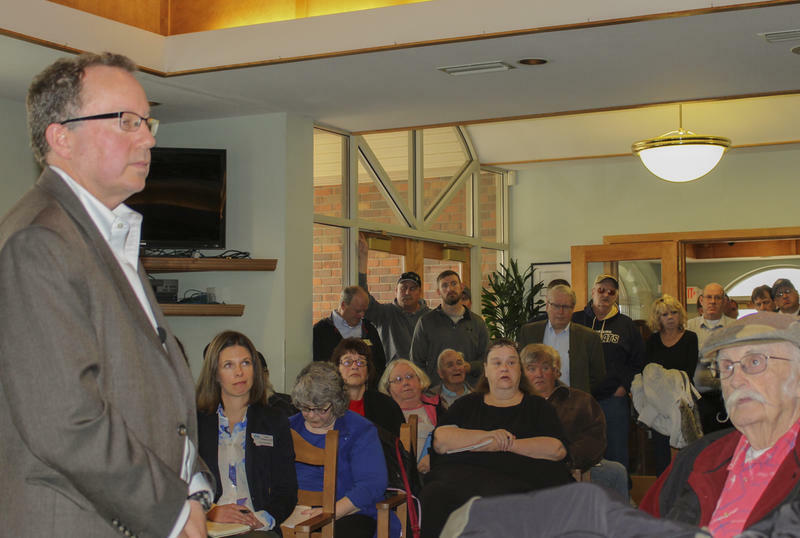 They also plan to return later this year to offer more free lead and arsenic testing to those on the waiting list.